"The Fourth Report of the IPCC [Intergovernmental Panel on Climate Change] might just as well decree the suppression of all climatology textbooks, and replace them in our schools with press communiqués. ... Day after day, the same mantra - that ‘the Earth is warming up’ - is churned out in all its forms. As ‘the ice melts’ and ‘sea level rises’ the Apocalypse looms ever nearer! Without realizing it, or perhaps without wishing to, the average citizen in bamboozled, lobotomized, and lulled into mindless acceptance. ... Non-believers in the greenhouse scenario are in the position of those long ago who doubted the existence of God ..". [Editor's Note:Feb. 3, 2007. Currently, we are being bombarded with a torrent of propaganda titled "Global Warming" Every TV and radio news broadcast, every TV talk show that touches on politics, every radio talk show, every major news stand magazine and newspaper are singing in almost perfect unison: "The Sky is Falling Unless We Do Something Soon about Global Warming"! I just spoke on the phone yesterday with Dr. John Coleman, author of The Tavistock Institute of Human Relations: Shaping the Moral, Cultural, Political, and Economic Decline of the United States of America. He vigorously concurred that the 'Global Warming' blitz is a classic Tavistock propaganda campaign of the highest priority. Apparently, no effort or amount of money or 'expert scientific opinion' is being spared to bring us this 'inconvenient truth' so that we might all become convinced that the story line laid out by the propagandists is true, and therefore we must acquiesce to the new "regulations" or laws that will be set in place to "prevent the catastrophes that will surely ensue if we don't curb Global Warming"'. I've been hearing some of the most absurd and ludicrous statements over the radio from Global Warming 'experts' concerning the dire "consequences" that will follow within 50-100 years if we don't follow their recommendations to 'put the brakes on Global Warming'. It's an insult to the intelligence of every human being on this planet to accept this unbridled hokum from those who posture themselves as 'leading academic scientists' and authorities on this subject (read Rockefeller/Rothchild-purchased and bribed ' talking heads'). I'll be posting articles here which will dissect and expose the misdirection, deceit, and false conclusions being promoted by Global Warming promoters. If you find articles, blogs, or forums which address the Global Warming deception, please forward them to me for possible inclusion here. Update, March 1, 2007 I'm being sent many excellent articles debunking the Global Warming myth, but two scholarly masterpieces written by Christopher Monckton (3rd Viscount, Monckton of Brenchley) and published on November 5 and November 12, 2006 in The Sunday Telegraph (London) laid bare Al Gore's truth twisting and deceptive claims with devastating effect. Gore was sufficiently stung that he felt compelled to reply to the Monckton charges in the November 19 edition of the newspaper (see below). Gore responded to Monckton's articles with a rebuttal published in The Sunday Telegraph on November 19, 2006. 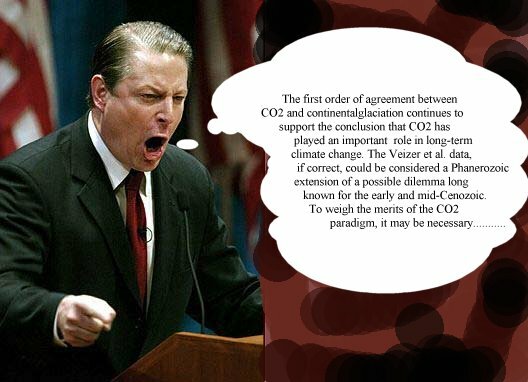 Christopher Monckton in turn responded to every word of Gore's rebuttal-statement by statement- with yet another stinging refutation of Gore's pathetic calumny and indifference to the truth with Gore Gored (http://ff.org/centers/csspp/pdf/20061121_gore.pdf) published on November 21, 2006. . .Ken Adachi]. Could you help me locate any info about global warming? What I am looking for is to find info about locations that will be affected because of the global warming and all the water rising onto land. And the locations in the world and especially in Canada and the States that could potentially be in damage maybe? "Global Warming" is a psychological operation, a "Psy-ops", to condition the public to believe that we are going to be in a lot of trouble in the near future if we don't take steps "X,Y, & Z", and do it quickly. Those "steps" are what the Illuminati want us to follow so they can further consolidate their control over our lives-and still make a ton of money in the process. Who can have doubt, when this guy says it's so? Currently, former vice president Al Gore is one of the leading baton twirlers in this parade, but you have a small army of propaganda peddlers out there who are working day and night to "sell" this 'Inconvenient Truth'. The "Global Warming" promotion campaign is very much in the same propaganda vein as the 'peak oil' campaign, formerly headed up by CIA family alumni Michael Ruppert (who has now fled the country apparently), and discussed at length on our 'Peak Oil' index page. They keep on pounding at these propaganda themes in order to get you to SUBCONSCIOUSLY accept them as true. That's why these lying jackals continuously employ words like "truth", "true", "honest", "sincere", etc., while they are lying through their teeth. Bush, Rice, Rumsfeld, Cheney, Gore, Clinton, etc., do it ALL the time; pathological liars, one and all of course, but Tavistock-trained pathological liars. They use television 'documentary' production companies like WGBH in Boston (Nova) or Frontline to manufacture these 'truths'. Their productions are very well done and to the unknowledgeable and naive, they appear VERY convincing and persuasive, but if you had the advantage of a good education and have learned to think on your own, you can discern the carefully crafted distortions and fabrications that they weave into these propaganda productions. Recently, I saw a program on public TV called "Building on Ground Zero". It's the second so-called 'documentary' that I've seen on TV that pretends to explain how the World Trade Center towers collapsed. The program made a mockery of physics and real-world science, all the while using "experts" who claim to speak for science! It was a continuous lie from beginning to end. It included wonderful computer graphics and simulations, of course, but it was a fanciful load of horse manure all the same. Somewhere between the mid 70's and mid 80's, they were continuously hammering away at a similar propaganda theme which claimed that chlorinated hydrocarbons (CFC, chlorinated fluoro-carbons), such as freon, were responsible for creating huge "holes" in the ozone layer. We heard this from 'documentary' productions companies and politicians alike for at least ten years. The story was utterly untrue and was in fact concocted by Tavistock. Big Illuminati chemical companies like Dupont (one of the top 13 Illuminati families) made an awful lot of money selling the expensive substitute chemical which was used to replace the far less costly freon refrigerant. Of course, you had to replace the freon in every sort of refrigeration and air conditioning system in existence because it was mandated by law. These laws were passed because, after ten years of propaganda hammering, everyone simply KNEW that CFCs caused the hole in the ozone layer! I recognize that there is physical evidence of the warming of the polar regions, Alaska, etc. Some people will argue that it's a normal fluctuation cycle that the earth has gove through many times before. My own suspicion is that they are using secret technology to create the atmospheric warming over polar regions. HAARP is an obvious one, but I'm sure there are other secret systems that we know nothing about. If there is coastal flooding in coming years due to melting ice caps, it won't happen suddenly and give you a tidal wave effect. It will be very gradual and you'll have plenty of time to relocate to higher ground. I wouldn't worry so much. It's mostly hype. Read your post concerning global warming ..thank God ..finally someone who links Chemtrail and HAARP as manipulated atmosphere heaters. I have been trying to show people the connection and been meet with that look which I am sure you have seen ...I am convinced there are many facets to chemtrails: delivery of pathogens, molds and alum-barium mix.which is killing many species .. as well as trapping the atmosphere heat ..much like having a camp fire inside a tin foil tent. Global warming: Lies, lies, damnable lies! I was so disgusted with the global warming tripe in the media, I have been writing to the scientists at Real Climate, they don't like me mentioning that global warming is well funded junk science...or that global warming is the product of weather weapons using HAARP and chemtrails...They won't even argue the argument that the atmosphere is layed due to gasses having different molecular weight, lighter the gass the higher it rises, CFC's and CO2 are heavier than the Oxygen Nitrogen troposhere air mix and thus sink. No way for heavier gasses to either insulate the surface temps via greenhouse gas tripe or break down ozone layer which is way up, statusphere level...CFC's sink readilly, they are heavy gasses. This is a must read for everyone wanting truth about climate. I once was a card carrying member of the Church of Global Warming. However, I have begun to see this church as the two-bit cult that it really is. Although I consider myself a rational, savvy patriotess, the emotionally-driven, nature-loving environmentalist in me bought hook, line, and sinker into this line of bull. I think my intuition finally kicked in recently when my chiropractor insisted I rent "An Inconvenient Truth". It suddenly hit me like a load of bricks. Why would the mainstream media outlets want to give this topic so much air time? Don't get me wrong. I'm all for clean energy and reducing pollution of all types. But why would Al Gore join "the Force" when we all know he's been working for "the Empire" all these years? Had he finally left the dark side? Doubtful! Soon after that, I was perusing Stephanie Relfe's website and noticed this link: www.iceagenow.com . At iceagenow, the webmaster uses statistics and recently writtenv articles to prove that the world is actually getting colder, NOT warmer. His theory is that an ice age begins when warming oceans cause increased precipitation, which in turn cools off land masses. According to his work, we are in the beginning stages of this cycle. This site is very compelling and could be a useful tool for your readers. I've pasted an article from the site in this email so you can get a small taste. Hope you find this as interesting as I did. Thanks for all your work! While they don't all agree about the actual prognosis of things they do solidly refute the idea that man-made CO2 emmissions are a significant influence on the climate. Pollution is harmful to health and could have been dealt with long ago if the PTB wished to... now they're using the global warming con to pull environmentalists into the centralized control paradigm. Good reply, but I would take note that glaciers worldwide have diminished markedly in the past decade--rather more than a mere "cyclical" explanation might justify. With respect to the "melting Arctic ice-cap/global flooding" phenomenon, I would propose the following experiment: fill a glass with ice cubes and add water up to a given mark--say, 1/2" from the brim; allow the glass to sit for awhile, and the ice to melt. Guess what? The height of the water remains at the mark. While water expands when frozen, it does not retain that increased volume when melted. If that were not the case, one could generate unlimited energy by freezing and melting water, thereby violating the second law of thermodynamics. Yes, I realize the trend has been going on for at least a decade. Art Bell was talking about it on the radio in 1996. I'm thinking that it's more man made than Nature made, that's all. Yes, ice occupies more volume than water. The Second Law of thermodynamics is not really a "law" at all and has been experimentally "broken" on numerous occasions by Tesla, Reich and others. Eric Dollanrd demonstates that very thing on his 1988 videos made for Borderlands. It's rather amazing to see.